Ko (Koh) Lanta island krabi Thailand, hotels villa resort. and island accommodation on Koh Lanta. Ko Lanta - The most beautiful island of Andaman Sea. In the past, if you mentioned the name “Koh Lanta ” there may be only few tourists who would know the I10land. Unlike Samui, Phuket or Phi Phi Islands. Who knows that not far from Krabi Province with little travel time, there is a beautiful island hiding within the sea of Andaman. The beautiful sand beach that we see around the island plus the peaceful atmosphere are what attract tourists who want to run away from all the confusion to come and feel the touch of pure nature and get fascinated by this Koh Lanta Island. Koh Lanta Yai preserves its community spirit in both family and business life. With clear, cool waters and superb white sand beaches stretching along a 27 kilometer coastline, its paradisiacal appeal remains unmarred by mass tourism. The island, which reaches a height of almost 500 meters at its extreme end, also boasts a mountain range covered with rain forest. The Koh Lanta archipelago is made up of over fifty small islands, though only three are inhabited: Lanta Yai , Lanta Noi and Ko Ngai. Lanta Yai is the most attractive to tourists, with its impressive beaches and activities for visitors. Approximately 10,000 of the regions’ 20,000 inhabitants reside on Lanta Yai. It’s here you will find the ancient Sea Gypsy Village, home to the indigenous settlers on Ko Lanta who live in harmony with the sea. Sanga-U Village lies in the southern tip of Koh Lanta in Krabi Province. This Uraklavoy or Sea Gypsies village has a population of 420 people with 117 households, settlement in a small traditional fishing village called “Ban Sangkha-U”. The name “Sangkha-U” means “stingray” in Chao-Le dialect. The legend is that there was once a large stingray that landed and beached in Ao Prao inlet. The stingray later turned to stone. From that moment the local villagers saw people walking in that area as if there was a settlement there, they believed that these were the 'Lords of the Sea' and their own ancestors. Since the stingray is called Sagga-U in the Chao Le dialect they called these people Toh-I-Sagga-U and this is where the name Sanga-U Village came from. The unique lifestyle of the Chao-Le (sea-gypsies) in Ko Lanta has been almost completely unaffected by the booming tourism on the island. They still retain their own unique language, traditions and ceremonies. They earn their living on fishing or catching lobster, other tasty shellfish and collecting bird's nests for the Chinese cuisine. The island itself runs 30 kms from North to South, with the West coast established as the main tourist area with totally 9 beaches, offering accommodation for all budgets, a variety of activities, and an attractive choice of bars and restaurants. Hotels Lanta, Resort, and accommodation. The section contained largest selective accommodation for all budgets on Ko Lanta or in Krabi area (Phi Phi, Ao Nang, Koh Hai and Railay) — in full details with updated photos and price, and online reservation service. Koh Lanta is an archipelago with over 50 small islands nearby and protected under the Marine National Park authority, ensuring the nature is unspoiled. The popularity is all water activities — diving, snorkeling, canoeing or kayaking, sightseeing and trekking. Deeply know more Koh Lanta in this section - history, special events and people as well as the useful information for traveler - weather, map and sightseeing tips. Ferry & Van Timetable & Private Transfer. Ko Lanta can access from Krabi, Trang or Phuket either by public ferry or van. There are only a few trips a day, check the updated timetable before journey. 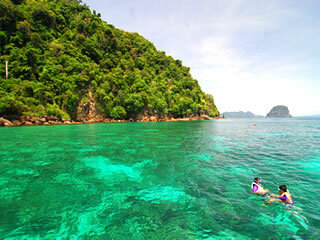 Ko Lipe is usually reached from the town of Pakbara. Ferry from Ko Lanta to Lipe currently run only half the year, from November to April; Though there have been rumored of an extended service for years, there's nothing yet organized for the low season. The monsoon lashes Lipe with particularly intense storms, so it can be dangerous to attempt the crossing from Pakbara pier between May and October. • Biggest list of Koh Lanta's Hotels and Resorts in all classes and prices. • All price discounted and room reserved guarantee. • Make an enquiry did not require Credit Card until you confirmed booking. VIP Transfer with a professional chauffeur available to pick you up from any location in Krabi, Phuket, Trang and transport you in a luxury stress-free environment to your accommodation destination. We offer a professional service that will exceed your expectations. 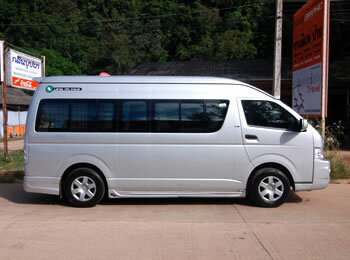 Enjoy unlimited luggage space, and Air-con comfort on the hot dusty roads from Ko Lanta Pier. Relax without the worry of connection times for ferries, and let us organize everything for you. Return journeys can be booked with us also, ensuring peace of mind for flight connections. If scuba diving is not suit for you, This Ko Lanta offers a range of daytrips that visit stunning remote islands with spectacular shallow coral reefs. These are often described by visitors as once in a lifetime adventures, the stuff that dreams are made of, and better than Disneyland and are highly recommended for the novice and even experienced diver. Snorkel trips are suitable for all ages. Trips typically include a relaxed lunch and time to enjoy those amazing beaches. Exploring the underwater world or tropical coral reefs is truly one of life's Must Do adventures. Ko Lanta is a diver's paradise for beginners and the experienced. 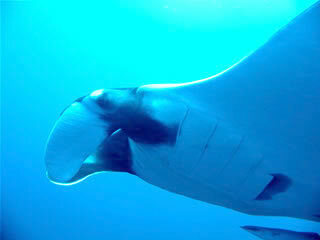 There are very few places on the planet where divers can enjoy and underwater world so rich and diverse. And imagine learning to dive in water that's the same temperature as your bath water at home. Make an enquiry did not require credit card, the system will sent you automated email contained your password. Use this channel to check your availability status as well as communicate with us.